The load is one of the most important parts of a high level baseball swing with serious bat speed. Hitter's who don't load properly will lose power, control of the barrel, and the lack of ability to drive the ball to all fields. 1. The Hitter Doesn't Load or Shift Their Weight Enough. When the hitter doesn't load enough they will lose power, the ability to stay behind the baseball, the ability to drive the ball to all fields, the ability to hit inside pitches, and will be extremely vulnerable to off-speed pitches. In order to be powerful you must load your weight into a firm back leg first before striding forward. Lack of precision with the barrel. When the hitter has a moving back leg it causes a loss in power and precision. The moving back leg means the hips won't stay centered. If the hips don't stay centered then it will be very difficult to hit with any consistency. It's critical that the hitter loads into their back leg like the back leg is a wall. Take a look at the example of Matt Holliday loading again. The sway is related to #3 but they are different for one important reason. When a hitter is swaying their hips they generally try to load their weight by shifting their hips out of place as opposed to loading into the firm back leg. It's important that the hitter understands the load/weight shift starts by keeping the hips centered and using the feet to shift the weight. When the hitter is loading into their firm back leg it's critical they keep the weight on the inside part of the back foot instead of the outside part of the back foot. It's the bottom of the last inning of the game. 2 outs. Runners on 2nd and 3rd. Your child's team is down one run. Your child walks up to the plate knowing that a base hit will win the game. Just a soft liner over second base. A seeing eye single. Any hit that makes it to the outfield will score both runners to win the game. They know they could be the hero! Watching your child dig into the batter's box you can see the lack of confidence. Earlier in the game they struck out (for what seems like the 50th game in a row) and hit a soft tapper back to the pitcher. Not exactly two results that fill you or your child with confidence that they are going to knock a line drive into center field for the game winning hit. Strike one. It was a fastball right down the middle, but your child didn't swing. You've talked endlessly about being more aggressive on the first pitch of the at bat and you can see your child peek at you hoping that you're not going to be mad. Strike two. This time the pitcher threw an off-speed (curve or slider) that bounced in the dirt before home plate. Your child took a panicked 'back side out' swing. You can see the look on the other parents faces around you. They know the game is basically over with your child at the plate in this pressure packed situation. One parent even mutters under their breath, "Not this again..." and starts gathering their things to head to the parking lot. Albeit a very rude comment you know it's true. High fastball for a swinging strike three. Your child walks back to the dugout dejected with their head hung low dragging their bat behind them. They feel like their entire world just crumbled. They gather their gear and pack it away in their back. You start walking back to the car trying to console them and tell them that it's okay. It's just a game. They don't want to hear any of it and completely dismiss everything you're saying to them. This is followed by tears in the car and a silent car ride home. There's almost nothing more painful than watching a struggling hitter at the plate, especially when it's your child. You feel helpless and you have that pit in your stomach that makes you feel like you're going to vomit. I'm here to help you relieve your pain. Hitting can be like rocket science. My goal is to turn hitting into first grade math. In case you're just getting to know me here are a few of my credentials. I've Helped Over 60,000 Hitters Improve Their Performance In The Batter's Box. The last bullet point is by far the most important. I'm here to help YOU. I want to help your hitter make dramatic improvements quickly. That's why I put together this 18 page cheat sheet & hitting drill series called "The Hitter's Cheat Sheet." I created Dead Red Hitting to help parents & coaches educate themselves so they are not dependent on spending thousands and thousands of dollars on in-person hitting lessons. I want to give you the information that allows you to help your child improve at the plate. You can either sit back hoping that your child improves their swing or educate yourself and understand exactly what your child should be doing to be the most feared hitter in their line-up. 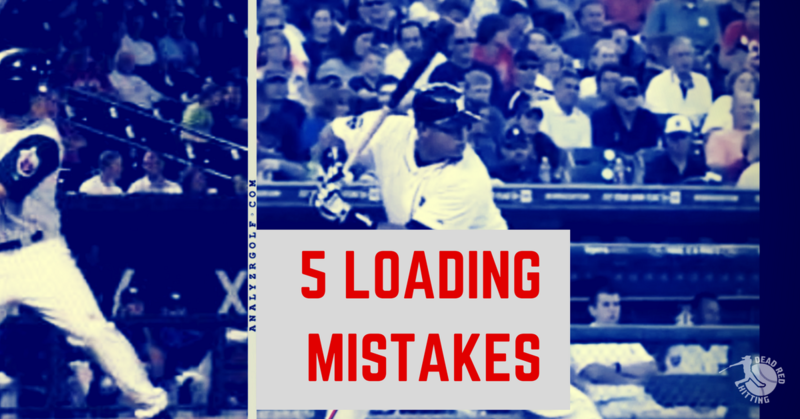 The 5 Biggest Mistakes Most Players Make That Keep Them From Hitting The Ball Consistently. Avoiding just one of these mistakes could help you move up in the line-up. An Amazingly Simple Technique That Allows You To Quickly Identify The "Type of Pitch, "Speed of Pitch" and "Location of Pitch" So That You Only Swing At Pitches You Know You Can Hit Well. This Technique makes it feel like you have an extra 7-10 feet to track the baseball. One Crucial Thing To Do When You're Losing a Game (and You Feel Like there's No Hope) That Will Almost Instantly Inject The Confidence and Swagger You Need To Completely Dominate Your Next At Bat.